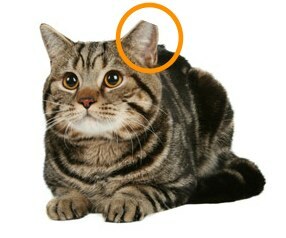 If you ever see a cat outside that is missing the tip of one of their ears (see photo), that means this cat is feral and fixed. A great fact to know if you are worried the outdoor cat is lost or in need of your help. You can read about my take on the best solution for feral cats here, but in a nutshell, it’s best to TNR (trap-neuter-release) these amazing animals NOT kill them (and tip their ear so others know kitty has already been fixed! ).